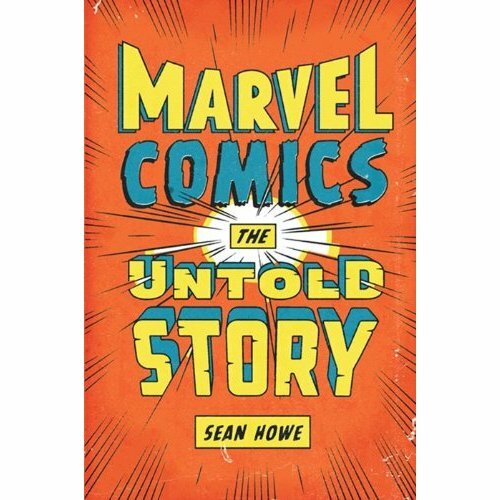 Marvel Comics: The Untold Story by Sean Howe arrives this week, and you should get it. The publisher provided Longbox Graveyard an advance copy for review several weeks ago (and there’s that disclosure out of the way), but even if I’d paid full boat for this book it would still receive my stamp of approval. Marvel Comics: The Untold Story is a terrific read, a literal page-turner that I couldn’t put down as it swept me through the glory (and failure) that as been Marvel Comics through the decades. Author Sean Howe cites hundreds of original interviews he conducted in developing the book, but much is also based on prior publications, and to an extent the degree to which this book will prove new to you depends on your familiarity with the far-ranging books, magazines, and journals cited in the extensive end notes. For a general audience this book will prove a revelation, and even the most dedicated, broadband-equipped Marvel Comics gossip-monger is bound to discover things he didn’t know. Even for a grizzled comics fan such as your humble narrator, there was plenty of new gristle to chew upon. Following Marvel Comics from its wartime origins with the birth of Captain America, the Sub-Mariner, and the Human Torch; through the Silver Age explosion that brought us Spider-Man and the Fantastic Four; through the growth of the company in the direct market era and the crazy bubble of the image-driven nineties; Sean Howe takes us inside the company that has become one of the most powerful intellectual property vaults in the world. There are booms and busts, layoffs and expansions. Time and again Marvel is saved from possible extinction by sales success of Star Wars comics, or a Kiss comic, or a reinvention of the X-Men perfectly suiting the zeitgeist. 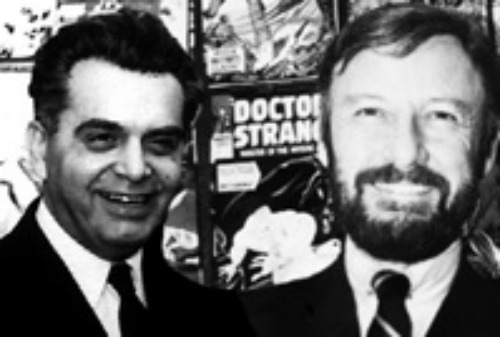 There are near-misses, too, with Marvel almost assuming control of half of DC Comics line under license in 1984 before an anti-trust suit field by First Comics against Marvel and printing partners at World Color Printing warned them off. 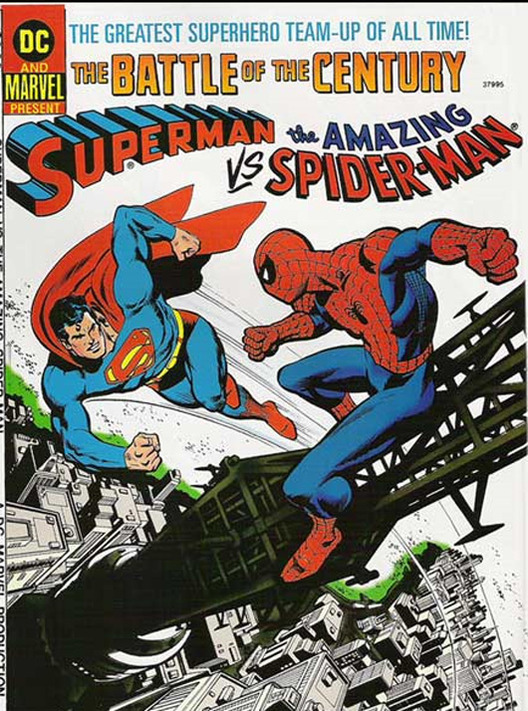 How different might the comics world be today if Superman and Spider-Man were under one roof? Howe delves into the mechanics of Marvel’s newsstand business, and how it drove the shape, size, and content of Marvel’s line; he looks at Marvel’s haphazard early approach to licensing characters for television and film; and he examines the parade of owners that have controlled Marvel through the years, each bringing their own (sometimes odd) outlook to what Marvel’s core business should be. It’s a publishing company! It’s an intellectual property house! It’s a front for a toy company! It’s a collectables company! It’s out of business (almost!). Along the way, readers who lived through the company’s history will get a behind-the-scenes look at what drove the content of their favorite books, learning the reasons behind sudden changes of editorial direction, and the unceremonial departure of beloved creative teams. Where Howe is at his best is in painting a picture of the many men and women that made up Marvel through the years. The book is vivid and rich in incident, bringing Marvel’s personalities to the fore, whether it is Ike Perlmutter counting staples, Roy Thomas tacitly looking the other way while half-mad creators pushed the boundaries of the form in the early 1970s, or the angry young men of Image comics sticking it to “The Man” of Marvel Comics, only to (largely) end up becoming The Man, themselves. Fascinating figures emerge from the narrative. Jim Shooter brings order to a chaotic Marvel, makes the trains (and the books!) run on time, and ushers Marvel through it’s first tottering steps toward becoming a multi-media conglomerate (Shooter’s Secret Wars would begin life as a focus-tested Mattel toy title). But in time his autocratic style would wear thin, and a revolt of freelancers and his editorial staff would contribute to his ouster from the company. Bill Jemas emerges as a bull-headed visionary, unafraid to slay sacred cows and enact sweeping reforms that seem substantially less radical in hindsight — such as directing the creation of an “Ultimates” comics line that would appear familiar to millions of outsiders coming to Marvel for the first time through the company’s movie success — but he too would overreach, alienating Marvel’s core audience with incendiary quotes in the press, and doing himself no favors by authoring the high-profile flop, Marville. But if there is a central figure to this sprawling history, it must be Stan Lee. 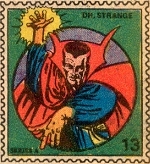 He wanders in and out of the narrative, from his origins as an office assistant and jack-of-all-trades at Timely Comics, through his ascendency as Editor-In-Chief during Marvel’s 1960s golden era, through his long and largely fruitless quest to bring Marvel’s characters to television and film, and finally to his role as Marvel’s elder statesman — grandfather, figurehead, and ambassador all-in-one. Lee’s controversies receive fair examination, and Lee’s feuds with Steve Ditko and (especially) Jack Kirby will prove familiar to seasoned fans. Howe offers a picture of a free-wheeling collaboration between Lee and Kirby, with the two men often talking past each other — and not always recognizing each other’s strengths — with Kirby sometimes giving lip service to bull sessions with Lee, before returning home to mill out pages in isolation, turning in work that frequently had little to do with the “agreed upon” plot. Howe characterizes Kirby as a creator eager to go off on his own, and Lee as a collaborator happy to let Kirby do it, laying the groundwork for decades of resentment and misunderstanding between the men, arguing over credit and creations. 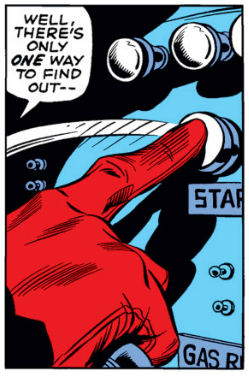 In the end, Kirby was marginalized while Stan Lee, the politically-savvy Marvel insider, seemed to benefit disproportionately. Still, Kirby is painted a bit less of the victim that other histories might have us believe. Comics pros pick up the torch for Kirby — Frank Miller is several times quoted as championing Kirby’s cause — and due exmination is given to Marvel’s petty refusal to return Kirby’s original pencil art. But the picture of Kirby that emerges is of a man who probably should have known better, who trusted others to do the right thing, who was aware of his artistry and unique talent, but was bedeviled by insecurity and his own blue-collar nature into accepting short-term money and handshake agreements. So, too, would Kirby sometimes act against his own best interests, as when he signed a deposition on Marvel’s behalf disputing claims of his wartime partner, Joe Simon, over ownership of Captain America. Less familiar may be Howe’s look at Lee’s unhappy history with an unscrupulous internet start-up — Stan Lee Media, which drew hoots and catcalls from Marvel insiders when it failed in 2001 — or the sometimes dispiriting picture of Stan Lee wandering the Hollywood wilderness, chasing deals that came to naught, and so out of touch with the company he helped create that he needs to be briefed on the names of Chris Claremont’s X-Men. So, too, do we see a restless and unfulfilled side of Lee. Despite a career that has seen him earn millions and emerge as the beloved public face of this unique enterprise, Lee still longs for a different kind of respect, lamenting that he never became a novelist, a screenwriter, a playwright. 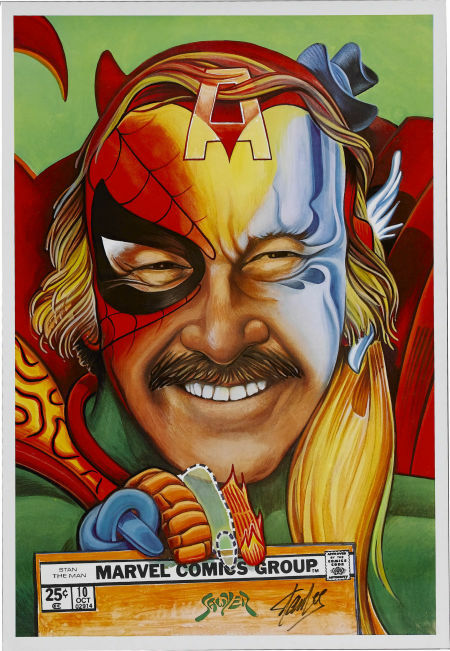 It is this unguarded and humanizing portrait of Stan Lee that most sticks with me from Marvel Comics An Untold Story (and most makes me wish for a thorough, academic biography of Lee). 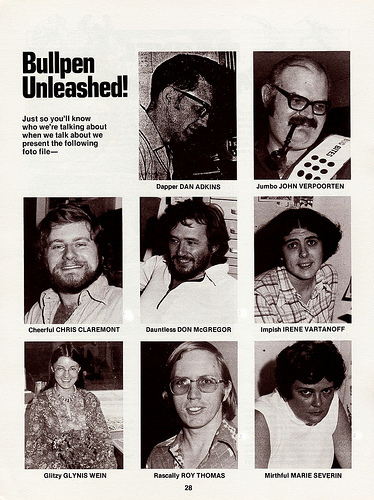 As Marvel’s mythologizer-in-chief, Stan Lee whistled up the interconnected Marvel universe, and created an image of a Merry Marvel Bullpen that didn’t (quite) ever exist, yet inspired generations of comics and media pros to follow. His chummy editorial approach made readers feel part of a club that existed only in their imaginations, but was no less real for all of that. For all his success, it is worth noting even Stan had to sue Marvel to receive many of his millions and to continue benefiting from his lifetime contract. In this, at least, Lee proved the ultimate Marvel man, equally adept at creating stories and characters as he was at securing his compensation from a company that Howe’s narrative does little to dispel as having a shabby reputation for treating creators. There’s gossip, of the juiciest and most petty kind — probably enough gossip from the Shooter years to fill a book all by itself. 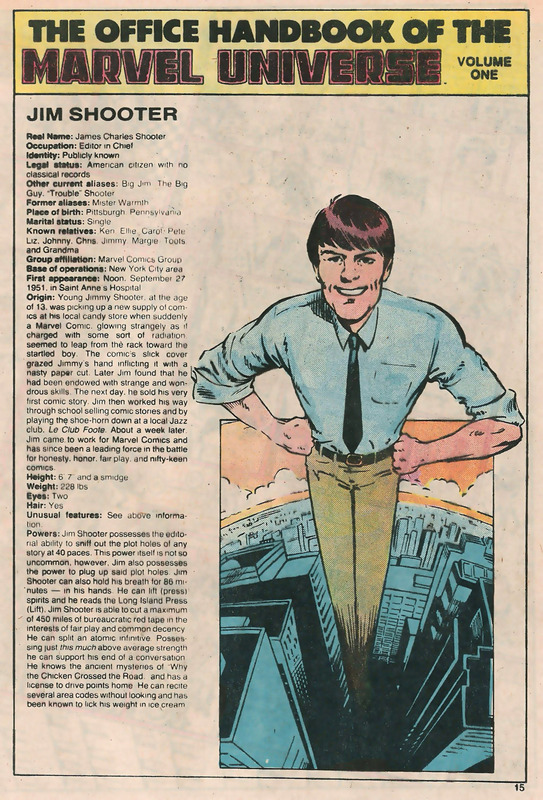 Howe describes Jim Shooter burned in effigy at a party at John Byrne’s house, the effigy stuffed full of New Universe comics, a pet publishing initiative Shooter had championed. We get to eavesdrop on the fights. (Of Lee and Ditko, Howe writes “Even when they weren’t speaking, they managed to disagree.”) We see old pros like Sal Buscema and Herb Trimpe pushed around — and pushed out of the company, too. When disgruntled Marvel creators flocked to rival Atlas Comics, Stan Lee would pen a memo to freelancers extolling Marvel’s virtues in employing artists and writers and continually raising rates, while directly comparing his old boss’ new company to Nazi Germany. 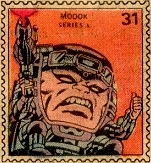 (And what goes around would come around, as Jack Kirby would later compare Stan Lee to the SS). There’s a dark side to the squabbling, too, in the near-nervous breakdowns of a succession of Marvel Editors-In-Chief, and the untimely deaths of several Marvel staffers — John Verpoorten (37), Carol Kalish (36), and Mark Gruenwald (43) — all of them stressed-out, overworked, and often in impossible middle-management positions where they absorbed disappointment from below and unpopular decrees from above. The 1990s will make your head spin, with maneuverings and alliances formed to fight for control of a company that had been driven into bankruptcy, addicted to spiraling sales for variant covers and polybagged special editions of books printed in ever-escalating numbers. 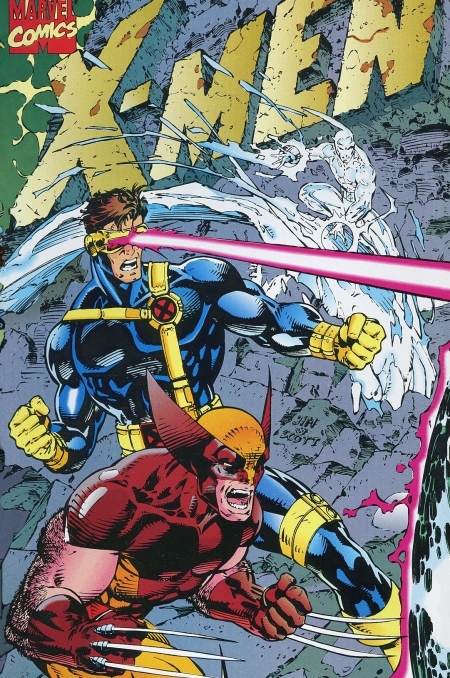 The collector-fueled frenzy climaxes with multiple versions of X-Men #1 selling eight million copies, which Howe notes was roughly seventeen copies for every regular comic book reader at that time. Howe writes Marvel had indications the bubble would burst, but could not wean itself from the short-term spikes their gimmicks were generating. The era bottoms out with Marvel’s misguided attempt to boost profits by doing their own distribution, wrecking their own business and delivering a death blow to a reeling direct market, resulting in the closure of hundreds of comics shops across North America. There are seventies creators tripping on acid, a look at how the Spider-Man “Clone Saga” ballooned from a four-month arc to a two year saga (which saw sales dip by fifty percent), and the priceless tale of a clueless New World Pictures executive enthusing that in purchasing Marvel, they’d just bought Superman. In short, if it happened at Marvel, it’s probably here … and you should be too, if you consider yourself a comics fan. They say you shouldn’t look too closely at the way sausages or laws are made, and if you are part of that vanishingly-small cadre convinced the Merry Marvel Bullpen was one big happy family, then maybe you should stay away from Marvel Comics The Untold Story … but I found that being reminded of Marvel’s all-too-human flaws only deepened my appreciation for the role the company played in the pop culture explosion of the past half-century. This is a brilliant book, for True Believers and non-believers alike, and I regret only that it had to end as Marvel transitions into yet another fascinating and unexpected role — as captains of the most potent action film franchise on the planet. Hopefully Mr. Howe will return to his work in due time with a revised edition to keep us up-to-date on Marvel’s evolving Disney years … and in the meantime, it is my sincere wish that he set his pen to creating an equally illuminating history of DC Comics, a company long overdue for this kind of examination. Read this book! ‘NUFF SAID! (Thanks again to Harpers for providing my review copy of Marvel Comics: The Untold Story, and my apologies to Mr. Howe and readers of this blog for the incomplete and unedited version of this review that was inadvertently published at Longbox Graveyard last month).